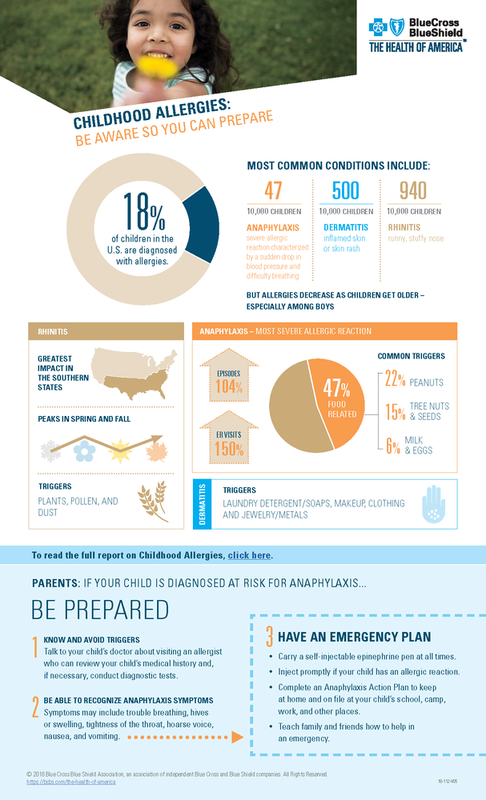 The Blue Cross Blue Shield Association (BCBSA) released a report called Childhood Allergies in America. 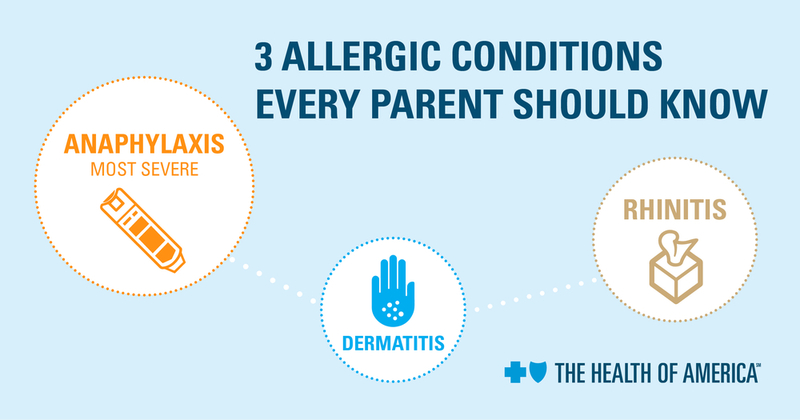 The study showed that allergy rates among children have been going up from 2010 to 2016. BCBSA sent out a press release on March 13, 2018, highlighting the report. Kenneth Mendez, president and CEO of the Asthma and Allergy Foundation of America talked about the report in the press release. BCBSA hopes the study will help parents see the need to be prepared for a severe reaction at all times. The best way to be prepared is to read labels to avoid the food your child is allergic to and carry epinephrine auto-injectors at all times. 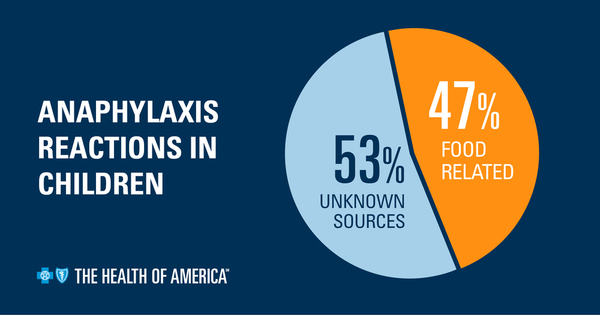 This report is part of BCBSA’s The Health of America Report® series. Read the full report at bcbs.com/healthofamerica. kitchen,etc creates havoc to the immune systems. The main triggers for my 6 year old son and I are pet dander from cats, dogs, rabbits. By living in a dander-free home, his environmental allergies and eczema are much more under control with no medication. I also do a lot to keep the indoor air quality good-- weekly washing of sheets in hot water, mattresses and pillows in zippered cases, hepa air purifier in room. When I was young, I did not take my pet allergies seriously and they developed into a serious problem. So I think it should be listed on the poster as a major trigger too.